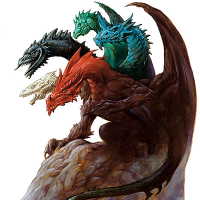 [For ages 13+] Dungeons & Dragons has been around for decades and, with recent publicity in shows such as "Stranger Things" and "The Big Bang Theory," interest in this engaging game has grown. Do you want to find out what the excitement is about? Come to the Delaware branch and join us for an adventure! Our group will use the fifth edition rule-set and journey through a short adventure before branching out into other campaigns. All interest levels welcome! Registration is not required, but encouraged. Call the Reference desk at (518) 463-0254 x223 to register!